Located 3 miles east of Egg Harbor on County Highway E, Birch Creek is a nationally renowned summer music school by day and a celebrated concert venue by night. 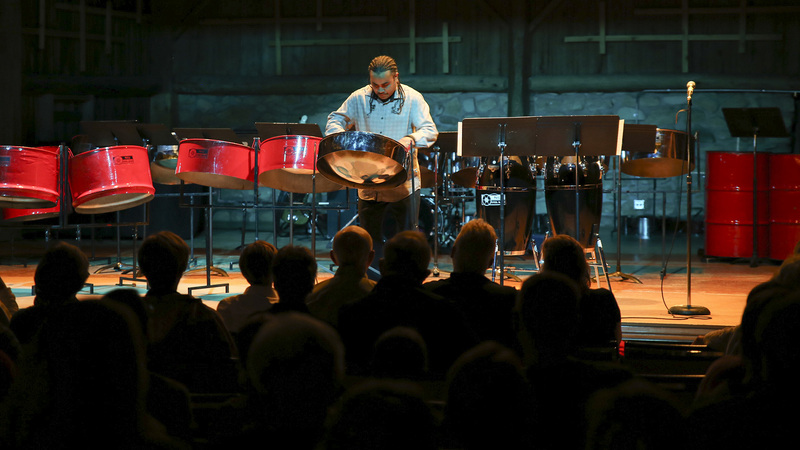 Top national and international artists are featured in more than 30 indoor evening concerts on Birch Creeks campus, with concert series in Symphony, Percussion & Steel Band, and Big Band Jazz. Picnic grove available for carry-in meals. Call for details, or log on to www.birchcreek.org. Campus visitors are welcome. Office: Oct-Apr, M-Th 9-4, F 9-2 except holidays. 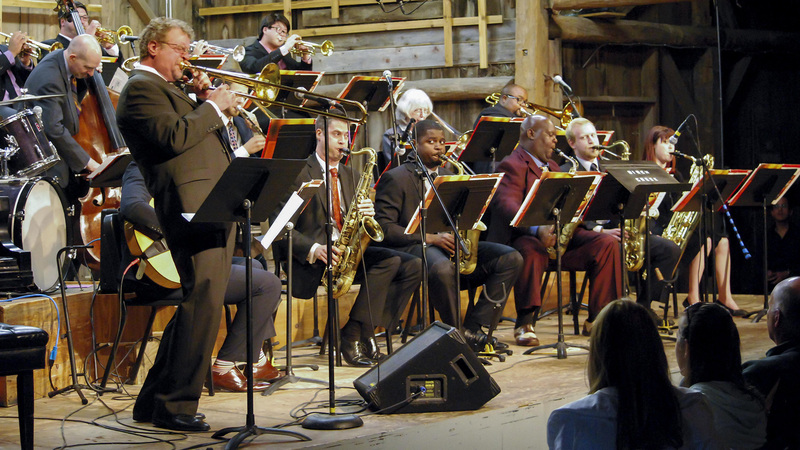 Each summer, the Birch Creek Music Performance Center brings together generations of musicians and fans on its grounds in rural Egg Harbor. A music school by day and concert venue at night, Birch Creek offers sessions in Symphony, Percussion & Steel Band, and Big Band Jazz. 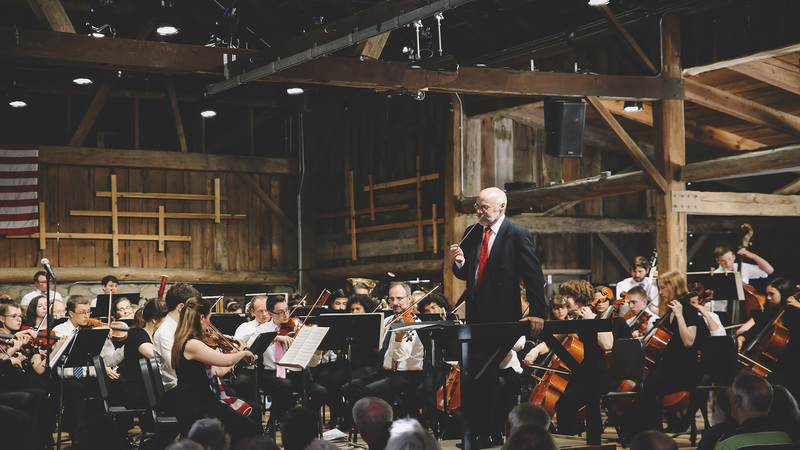 Each of the concerts features a mix of professional and student performers who showcase their talents in the 500-seat Dutton Concert Barn. Founded in 1976, Birch Creek is dedicated to educating talented young musicians ages 13 to 19. During each two-week instrumental session, the students work closely with expert professionals drawn from around the United States and beyond. From mid-June through mid-August, students get a taste of the real world of music as they learn and polish music rapidly and then perform new programs nightly. With an average student:faculty ratio of 2:1, young musicians receive excellent instruction in each of the four current sessions: Symphony, Percussion & Steel Band, and Big Band Jazz (two sessions). For the audience, this means concerts of superb quality in a unique setting. 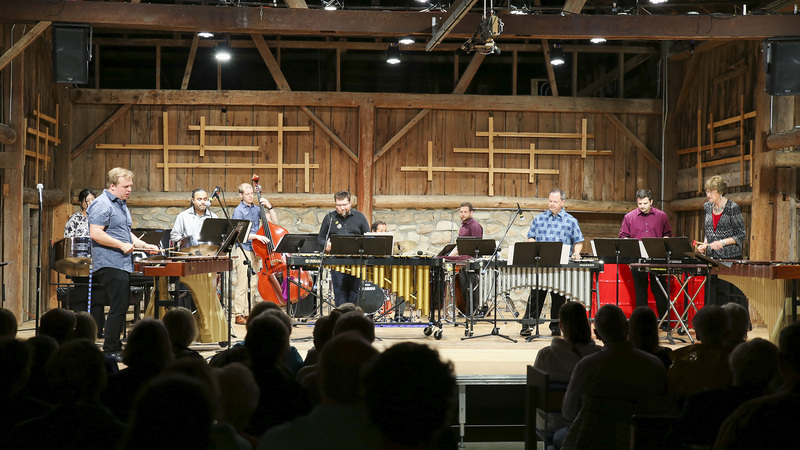 Evenings include performances in the Dutton Concert Barn, in the school’s outdoor gazebo and at other locations on the grounds. For information on Birch Creek Sessions, programs and concerts, and to purchase tickets, visit www.birchcreek.org. Faculty/Student Performances Begin at 7:30 PM. Saturday, June 24 | 3 p.m.
Tuesday, July 4 | 4 p.m.
Free Family Concerts July 1, July 15, July 29 and August 12 at 1pm. Outreach Concerts: July 26, and August 9 at 3pm in Sister Bay.